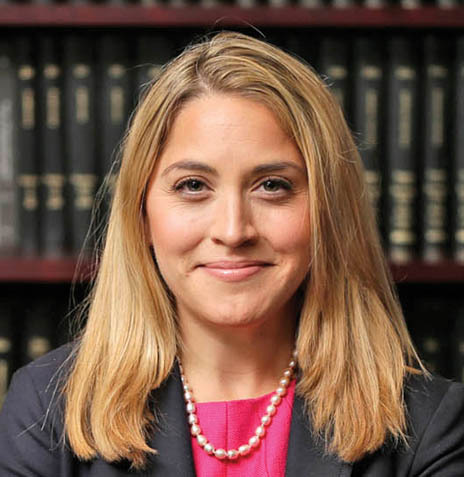 Elizabeth is a civil litigator whose practice focuses on general liability defense work with an emphasis on environmental claims, toxic tort claims, and labor law matters. She handles high exposure matters in state and federal courts, as well as in the appellate courts. Elizabeth also has significant experience defending property damage claims, premises liability, elevator malfunction accidents, products liability and navigation law claims against environmental remediation companies and petroleum carriers. Elizabeth has several reported decisions in a range of practice areas. These include Robinson v. Goldman Sachs, et. al., 95 A.D.3d 1096 (2nd Dept., 2012) (Labor Law), Johnson v. S.W. Mgt., LLC, et. al., 114 A.D.3d 590 (S.Ct., NY, 2014) (Premises Liability) and Eze v. Spring Creek Gardens, et. al., 85 A.D.3d 1102 (2nd Dept., 2011) (Premises Liability).